Although there is a burn ban in the Mt. Hood National Forest, officials have found several hundred abandoned campfires in the past few weeks. Leaders from several agencies are helping spread information about fire safety during this warm season. 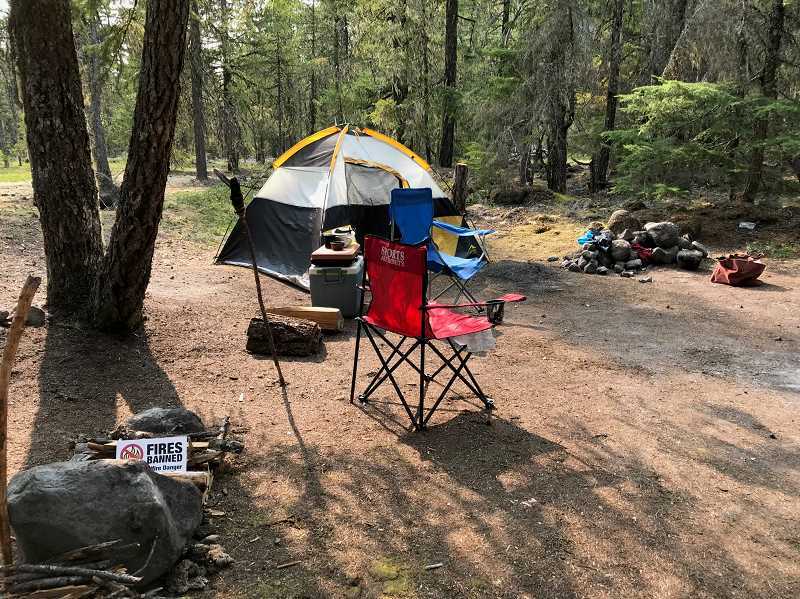 "We're seeing a lot of (abandoned campfires) in dispersed camping areas," said Susan Granbery, a member of a multi-agency national fire prevention and education team that has spent the last several weeks in the Mt. Hood National Forest sharing information about the burn ban, which has been in place since last month. "The Mt. Hood National Forest recognized the need for additional fire prevention specialists. It's important to take precautions to prevent any sort of wildwire." The team has members from the Georgia Forestry Commission and the Shasta-Trinity National Forest and was in Oregon through Tuesday, Aug. 21. "Our objective is to visit campgrounds and dispersed camping areas and have that face-to-face interaction and remind them of the restrictions that are in place," Granbery said. "We've been visiting the community too, and really canvassing the whole area." Granbery emphasized the importance of following the restrictions on burning while in the forest. Campfires, target shooting, ATV use, chainsaws, fireworks and smoking outside of developed campgrounds or enclosed vehicles or buildings are prohibited while the ban is in place. Additionally, campers should use pressurized gas stoves that can be easily turned off, or portable stoves and lanterns with liquid petroleum fluids rather than charcoal grills or anything with open flames. During this dry season, campers are also advised to have extra water with them. Cars should not be parked on dry grass because of their hot exhaust fumes. "One spark is all it takes to develop a wildfire," Granbery said. "Know that the restrictions are in place before you visit the forest. People are still lighting campfires, and even though they've followed normal advice for having a safe campfire, you cannot have them during a burn ban." When the Forest Service's burn restrictions are in place, having an illegal campfire can lead to a fine ranging from $250 to $500. Granbery estimated that the burn ban will last through fall. "The Pacific Northwest is really experiencing those fire dangers," she said.